MDPE Pipes are used for Transportation of Gas as well as for Water all over the world due to its best technical and operational characteristics, We manufacture MDPE Pipes for Gas as well for Drinking Water Supply using virgin Raw material and state of the art machines. We manufacture and supply MDPE Pipes (Medium Density Polyethylene Pipes) as per Indian as well as International standards, which can also be customized as per the specifications of our clients. Complying with various standards. In adherence to the set industrial standards, offered pipes are precisely manufactured using better quality required material and advanced machinery at vendors’ end. 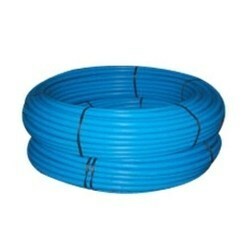 Pipes, offered by us are very much cherished by our clients for their finish and elevated durability. Clients can purchase these pipes from us in a range of modified options at competitive prices. 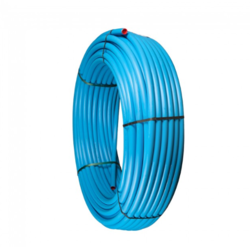 Packaging Details: MDPE Pipes can be supplied in coils as well as in straight Lengths upto 110 mm Outer Diameter (OD), Above 110 mm Outer Diameter (OD), MDPE Pipes can be supplied in Straight Length of upto 6 Metres Each.